Cargill is investing in expansion of its production capacity of special oils and fats at its Itumbiara (GO) and Mairinque (SP) plants in Brazil. São Paulo, October 16 – Cargill is investing nearly R$ 52 million to expand the production capacity of special oils and fats at its Itumbiara (GO) and Mairinque (SP) plants. The expansion is designed to keep up with rising customer demand and leverage the production of healthier food solutions for the food market, such as LéviaTM, a line of fats with reduced content of trans and saturated fats. The investment is scheduled for conclusion in the first half of 2014. Cargill is an international producer and trader of food, agricultural, risk management, and industrial products and services. Founded in 1865, the company employs 142,000 people in 67 countries. Cargill has been in Brazil since 1965; today the company is one of the largest food companies in the country. 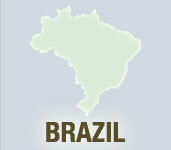 Based in São Paulo, SP, the company is present in 14 Brazilian states. Cargill has plants and branch offices in nearly 158 cities in the country and employs more than 9,000 people. Cargill helps its customers succeed through collaboration and innovation and is committed to using its global knowledge and experience to overcome economic, environmental, and social challenges wherever the company does business. For more information, visit the company’s website at www.cargill.com.